The Special Edition of the Lahore Journal of Economics is now online. The Special Edition is a compilation of the papers presented at the Lahore School’s Tenth Annual Conference on the Management of the Pakistan Economy. The key objective of the Lahore School’s Annual Conference is to help policy makers look at some of the critical issues that Pakistan needs to face if it is to achieve growth in the medium to long term and the theme of this year’s conference was ‘Pakistan in the Global Economy – Opportunities and Challenges’. What made the conference unique was that many of these issues have not been discussed and debated thoroughly before in the Pakistani context. Some of the highlights of the conference were Asma Khalid’s (from the State Bank of Pakistan) extremely insightful analysis of the parallel foreign exchange market in Pakistan (which has not been analyzed in depth before) as well as the call by many of the presenters for a well-formulated industrial policy in Pakistan. Ms. Rifah Qadri, Class of 2006, Senior Manager Advertising at Metro Cash n Carry visited Lahore School on September 25, 2014 and delivered a lecture. The guest talked about planning and then executing a marketing strategy involved in moving a good or service from producer to consumer. She informed the students that Retail has an industry of $5.5 million around the world. Ms. Qadri said that other than four conventional “Ps” of marketing two additional Ps play a very significant role in Retail business i.e. presentation and personnel. She shared a video in the session to explain the four Marketing “Ps” in Metro. Ms. Rifah also talked about emerging trends in the field of Marketing. She predicted that in coming years the concept of Mobile Wallet will continue and technology will be integrated more into Retail business. She further added that social Media would play a major role in decision making for buying products and Retailers would reinvent their loyalty programmes in the coming years. Mr. Ahmed Naseem working at KASB Bank, was invited to the Lahore School to give a talk to the students of BBA (II) on September 13, 2014. His talk mainly focused on how to choose a career. He applauded the performance of Lahore School Alumni working in various roles in top notch organizations. This has resulted in strong demand for Lahore School graduates in job market. He advised the students not to value money when they start looking for a job. Instead they should always consider applying to an organization which is growing. Employees can only grow and develop if the organization grows. The guest emphasized on the need of gaining practical training by doing internships during Bachelors before applying for a job and asked the students to keep their eyes open and look for opportunities. Mr. Naseem also mentioned that the students should stay in a close contact with their faculty as he believed that the teachers at the Lahore School would always be willing to guide and mentor their students and would love to see them successful. The speaker advised the students to always appear for a job interview even after getting hired as it would polish their communication skills and build more self confidence in them. Zaid Nomani ( Class of 2013), Manager Global Customers, Abu Dawood Pakistan, visited the Lahore School on September 17, 2014 and gave a lecture on communication skills to the students of BBA (I) in the SBS Library. He was accompanied by his wife who is also a graduate of 2013 and is working at the Oxford Press. Mr. Nomani introduced himself and shared his student life experiences with the audience. His throughout focus was on the importance of effective communication skills and the role communication plays in a professional life. Mr. Nomani told students that renowned companies like P&G, Unilever and Nestle always prefer hiring people with excellent communication skills and high confidence level. He also mentioned that it did not matter which language you use but you should have a complete command on it. He shared different examples of leaders and public figures with the students and emphasized on the importance of body language and expressions. 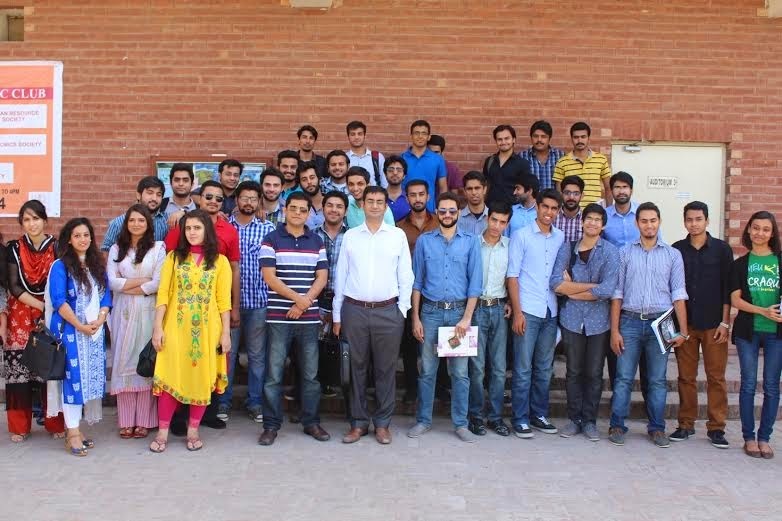 On September 16, 2014, an alumnus, Mr. Waqas Arshad was invited to a session conducted for BBA (I) in SBS Library. Mr. Waqas Arshad, Class of 2012, is the Co-founder of Nexus Educations Solutions and Trainings, Takhti, a company that produces and sells paper products and Rah-e-Mashal, an NGO that operates to help under privileged women and children. 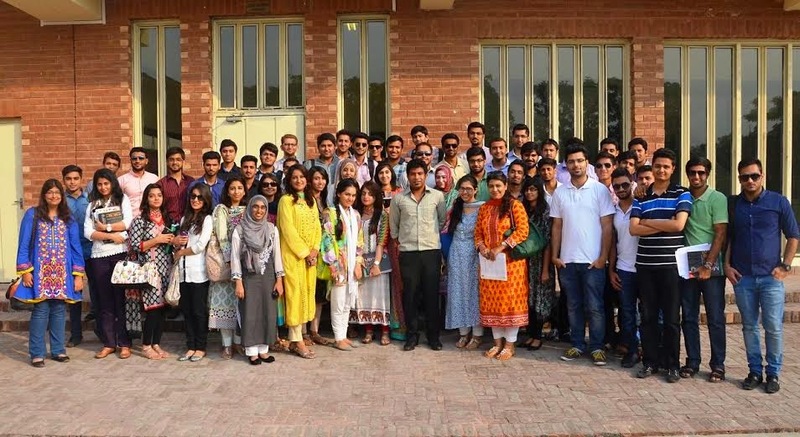 Waqas Arshad shared his experience of getting into and then studying at the Lahore School. He talked to the students about what is entrepreneurship, who are entrepreneurs and what is the difference between entrepreneurship and social entrepreneurship. He also explained that why did he decide to work for a social change. Mr. Umar Khan (Class of 2011), working as Trade Manager at British American Tobacco, was invited to deliver a lecture on Fundamentals of marketing to the students of BBA (II) on the September 18, 2014. Mr. Umar Khan told the students that marketing was making customers aware of the value a product carries. He told the students what order qualifiers and order winners were. He explained different components of marketing including strategy, advertising, branding and product research. Mr. Umar also talked about digital marketing and threw some light on how it could be done through Websites/ Social Media/ Pop ups/Apps. The speaker explained the difference between branding and advertising and enlightened the students about ATL and BTL. He also gave an overview of media planning. At the end the speaker urged the students to make their lives challenging. 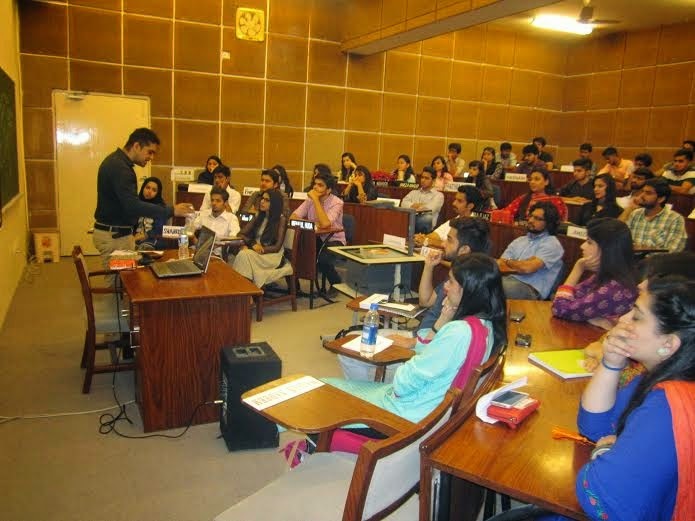 Mr. Mustafa Hussain, Class of 2008, conducted a session with the students of BBA (II) on September 19, 2014. Mr. Mustafa has an experience of working in MCB. Then he joined AC Nielsen as Senior Research Executive and is now hired as a Consultant at Enclude Ltd. He first enlightened the students on different products and services of a Bank. Mr. Hussain talked about the functions of a market research firm and defined what role does it play to find solutions to a number of marketing challenges faced by various organizations. Then he talked about choosing market research as a career. He conducted an activity with the class to make them understand the concept of market research. Mr. Salman Khan, Class of 2006, Branding and Business Development Consultant at Adalta Professional Services conducted an interactive session with the students of BBA II on September 22, 2014. According to him Marketing was an art of choosing target markets and then getting, retaining and growing customers through creating and delivering superior customer value. He further explained how to define a target market on the basis of Socio Economic Class, Psychographics and Geographic. The speaker shared his experience of working first with Nirala, then Haleeb foods and finally with Adam Foods as a Marketing Manager and talked about the marketing processes. 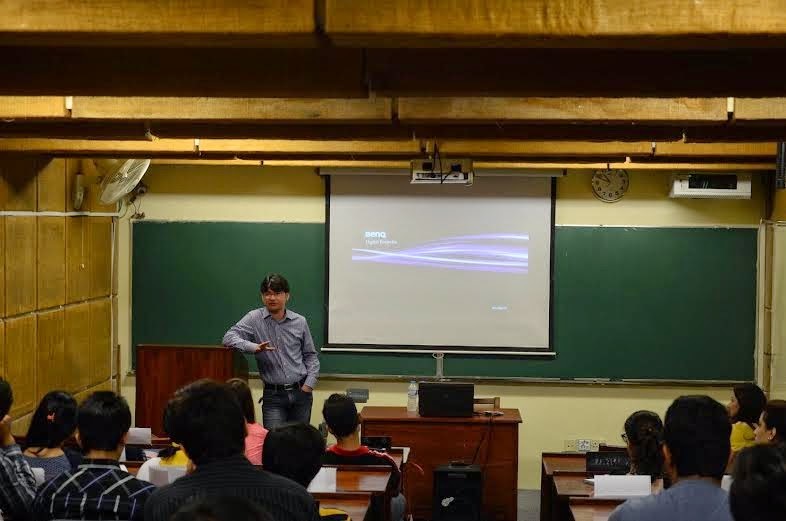 He explained to the students the challenges he had to face throughout his marketing career. He said that for a marketeer the key to success was to come up with innovative and challenging ideas and thinking out of the box. Mr. Khan advised the student that whenever they encounter any problem in their professional careers, they should always understand the situation and then device a solution for it. 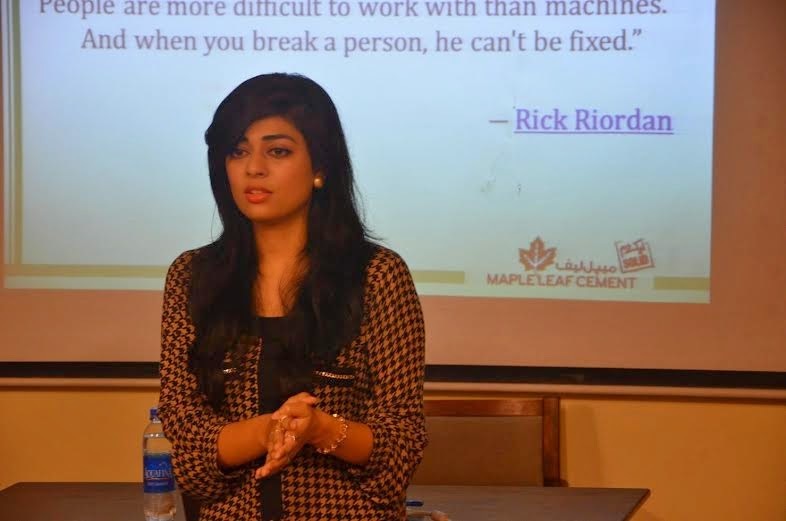 Ms. Sarah Zubair (Class of 2012),working at Maple leaf Cement as Deputy Marketing and Supply Chain Manager visited the Lahore School on September 23, 2014 to talk about latest developments in the field of marketing. The speaker explained that marketing was no more about 4 P’s. It’s now more about a: Solution, b: Access, c: Value and d: Education. She said that Marketing was actually a battle of emotions. She also introduced the Elementary Equation to evaluate performance of employees i.e. Performance= (Skill+ Knowledge) Attitude. She therefore emphasized on the need of having the right attitude. Ms. Zubair also discussed conventional marketing and shared newer concepts and latest development in marketing with the students. 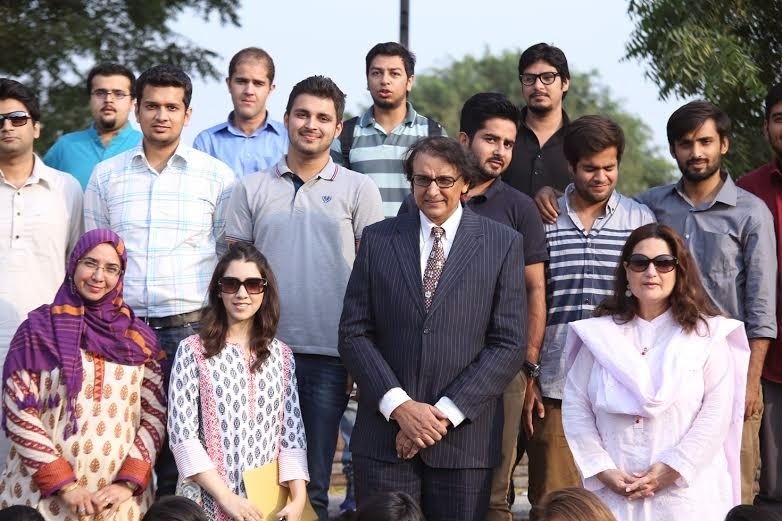 Mr. Arif Ijaz, one of the most senior speakers in Pakistan, CEO of many companies in the past, senior advisor at Maple Leaf Cement now and a long-term friend of the Lahore School paid a visit to us on October 21, 2014 to deliver a talk on Leadership to Lahore School MBA candidates in Organizational Behavior. Arif, a brilliant speaker, captivated his audience immediately not only through the colorful and insightful anecdotes culled from years of managing companies in Pakistan but also through his wit and charm. Throughout the 100 minutes allocated to him he interacted with the class, answering a hundred questions in the last 45 minutes. At the end of the class, some 50 hands were still up in the air and that made him happy. Lahore School of Economics First Annual Mathematics and Statistics Research Conference will take place on February 6-7, 2015 at the main campus. The conference will be organized by the Centre for Mathematics and Statistical Sciences (CMSS), Lahore School of Economics. The main goal to organize this Conference is to provide an opportunity to eminent mathematicians, physicists, statisticians, economists and social scientists from all over the country to come together and learn from each other. From Gwadar in the south to Skardu in the far north, small cities of Pakistan are in the throes of change spurred by social and metabolic processes of global urbanization. While this transformation is uneven and varied it is a trend towards incorporation of the local and small scale in the circuit of global capital. E-waste recycling in Bhakkar or burgeoning health and agro-chemical commerce in Jampur exemplify developments destined to have far reaching socio-ecological consequences. 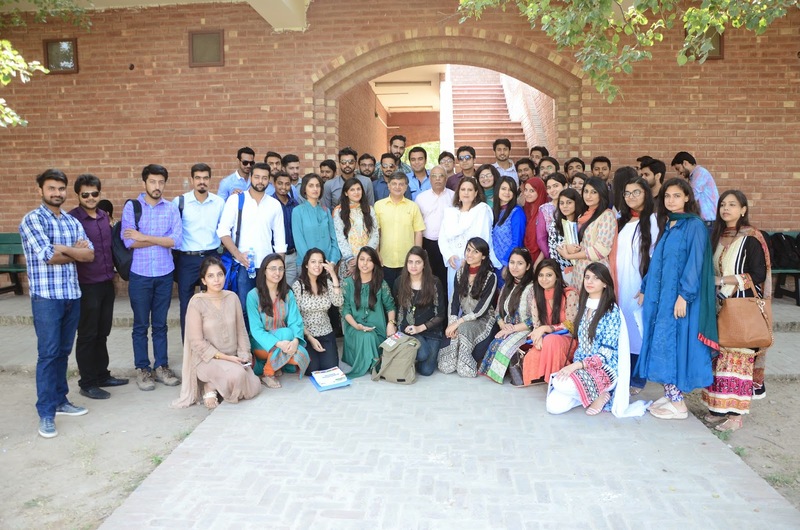 Mr. Mohammad Ali Toosy delivered guest lecturers at Lahore School of Economics on September 29 and October 1, 2014. Mr. Toosy is known as a management guru and with a vast experience in the field of Quality Management and Six Sigma. 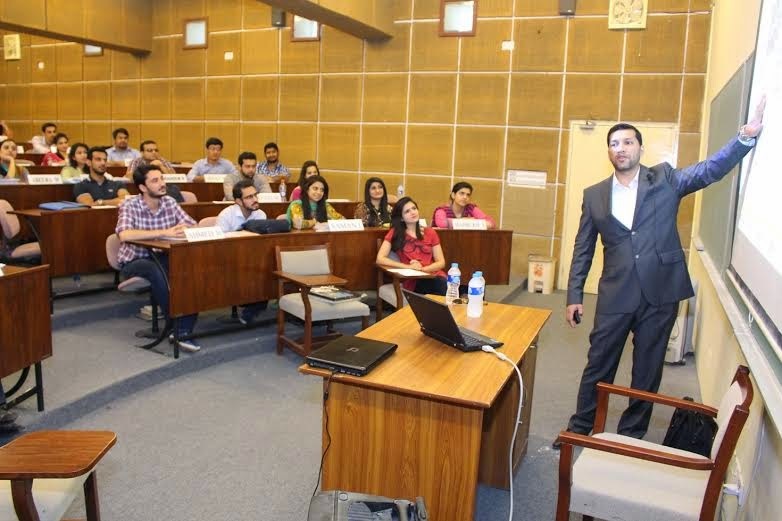 Mr. Umer Ghumman, Head of Business Development at Tetrapak visited Lahore School of Economics and delivered a lecture to the graduating class of MBA on October 01, 2014 on Consumer Insight. Consumer behavior is an important element to market successfully whereas consumer insight is important for the success of a particular brand or product. He talked about changing market and social trends and how consumer perception and demand could make a product or brand successful. While talking about consumer insight he said that “insight” was the core of everything. He also explained the difference between observation and insight. Mr. Aurangzeb Bhatti, Head of Training at NetSol Technologies was invited to the Lahore School of Economics to deliver a lecture to the graduating class of MBA on October 03, 2014. Talk focused on global environment (next 20 years), major trends, challenges the youth will face, career opportunities around the world and the concept of emerging leadership. The speaker gave a brief introduction of NetSol Technologies. Mr. Bhatti then talked about population and its rapid increase, pollution, re-shuffling of economical power, ecological imbalances, loss of species, mass migration of humans due to weather and land erosion, water and food shortage, fast depletion of fossil fuel reserves and race for alternative energy resources. He then discussed the emerging internet world and major technology breakouts. 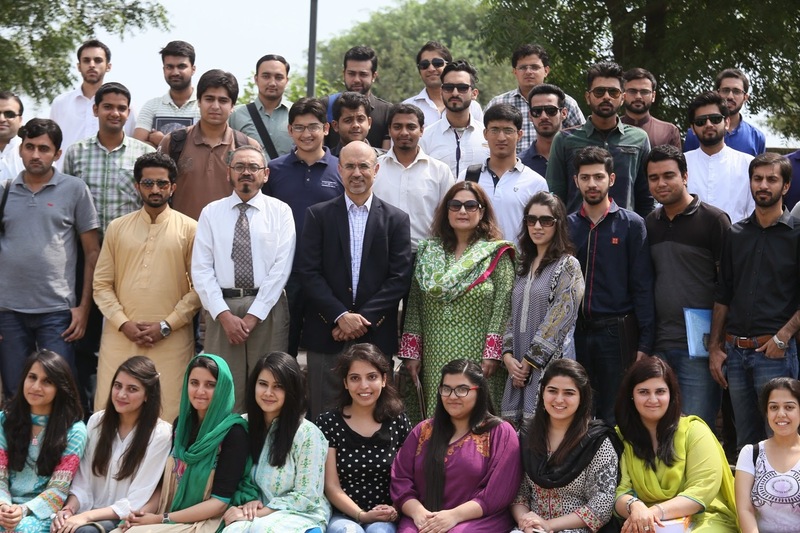 Mr. Mudassar Aqil, President FINCA Microfinance Bank, was invited to Lahore School of Economics to deliver a lecture to the graduating students of MBA enrolled in the course of Advance Corporate Finance on September 26, 2014. While giving a brief introduction of FINCA he told the students that FINCA started its operations in South America for farmers. Spreading rapidly it acquired Kashf Microfinance Bank one and a half years ago in Pakistan. Currently it operates in 80 cities in Pakistan. Quoting Dr. Yunus he said that poor people were a better credit risk than rich people. 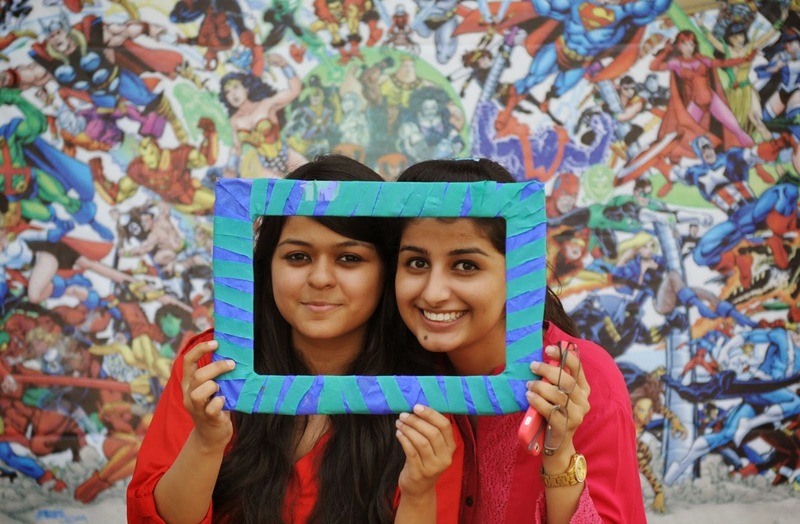 Lahore School of Economics Photography Society organized its orientation for the year 2014-15 on October 1, 2014. The session was attended by the students who wish to pursue photography as an extracurricular activity in the university. President and Vice President of the society briefed the students about the new council, past successes and the future plans. Orientation session was followed by a vintage themed photo booth which received a lot of attention and popularity from the students. 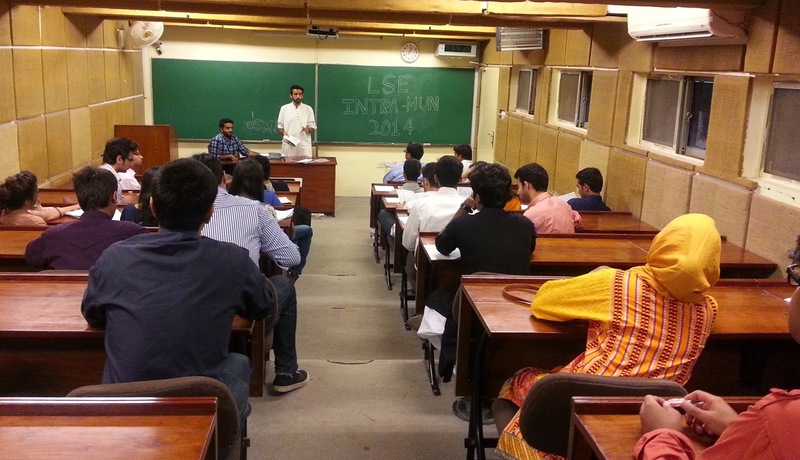 Lahore School Finance Society (LSFIS) held its first event 'NUMAISH' by Dr Shakil Faruqi on September 25, 2014 in the Main Shed at the Main Campus. 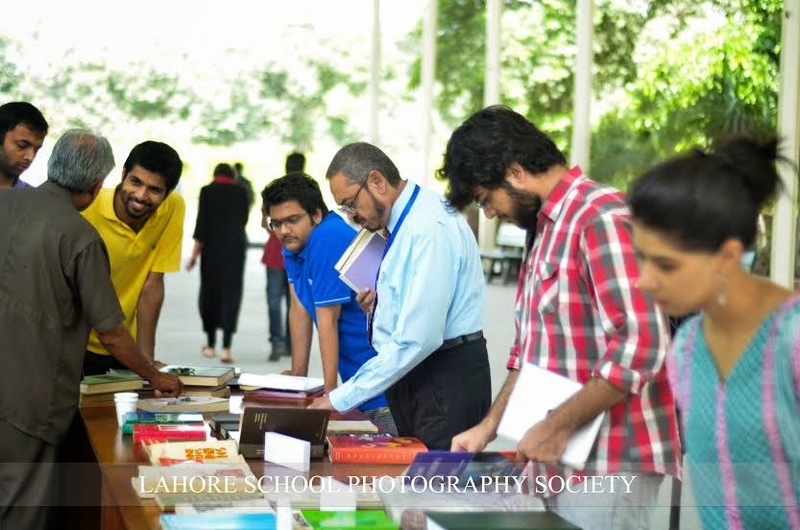 Over 300 books were distributed for free to the faculty members and students. The book collection comprised of various subject areas including finance, micro economics, macroeconomics, management and political sciences also some SBP, IMF and World Bank reports. Lahore School Entrepreneurship and Business Society (LSE - EBS) had its first guest speaker session in SBS Library on September 30, 2014. 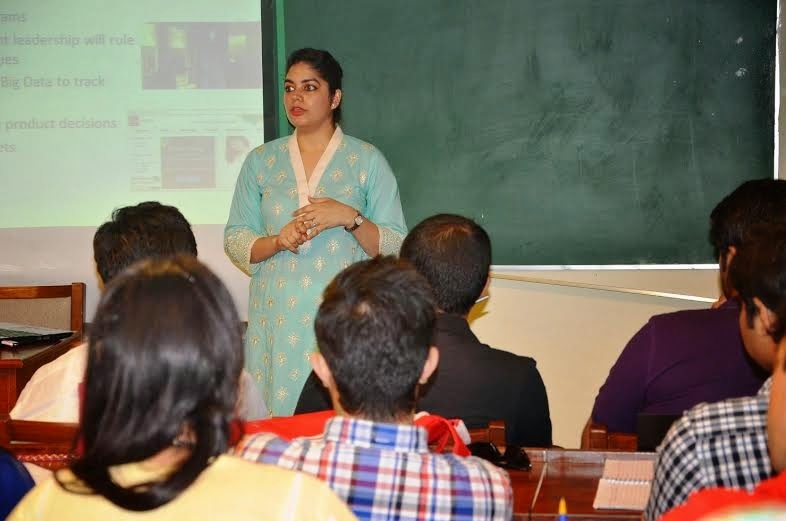 Miss Arooba Gillani (Lahore School Alumni) came and gave a lecture on NUST Business Idea Competition 2014. 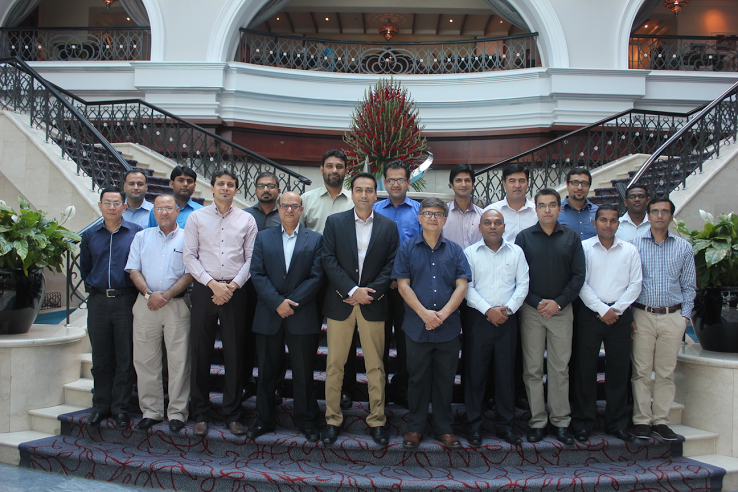 The Lahore School of Economics is pleased to announce the successful holding of its first international executive education program held in Dubai from 22-23 September 2014. The Management Development Program (MDP) was held for CCL Pharma and was attended by some 18 of CCL’s senior executives, including both Pakistani and foreign nationals. The MDP program was conducted both in Dubai and Lahore and consisted of four half-day sessions, one each devoted to the following themes: Conflict management; Communication within an effective organization; Change management; and Negotiations. The program was 100% interactive, with no use of powerpoints. All the executives took a very active part in resolving managerial issues raised in the various cases discussed, participated in a negotiations exercise and made presentations at the end of the course. 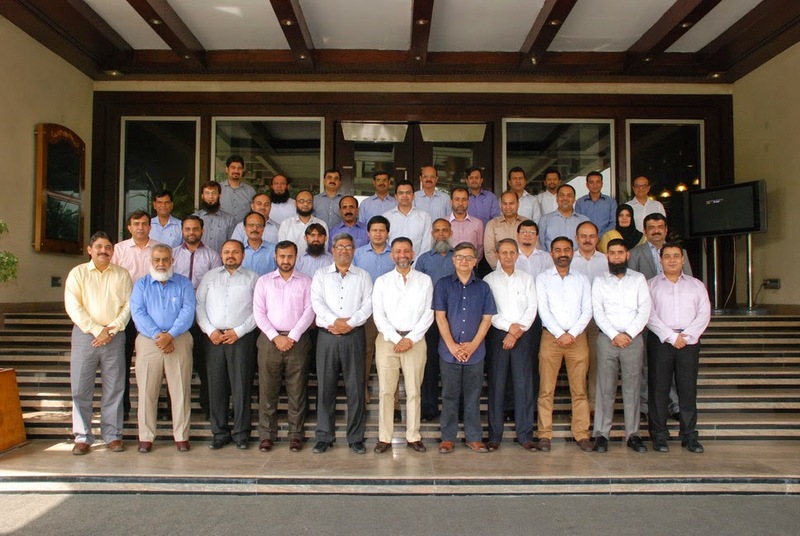 The Lahore School of Economics conducted a two day Management Development Program (MDP) for CCL Pharma at the Royal Palm Golf and Country Club, Lahore on September 26-27, 2014 as part of its Executive Education Programs. Some 36 executives, including the heads of finance, human resource management and marketing, attended the program. The program consisted of four half-day sessions, one each devoted to the following themes: Conflict management; Communication within an effective organization; Change management; and Negotiations. Combining practice with some theory, the program was designed to raise and discuss real managerial issues faced by executives who are transitioning from functional to general management at senior levels. CCL Pharma, now in its expansion phase, wanted to introduce its management to the challenges of a general manager working at a senior level who is being trained for a position of leadership. Lahore School of Economics Association of Debaters (LSEAD) held its Bi Annual LSE Intra Model United Nations 2014 on September 28, 2014. The Intra MUN Simulated the 3rd General Assembly of the United Nations ; the social, Cultural and Humanitarian Committee (SOCHUM) which discussed combating religious Sectarian violence in Muslim regions. The Committee was chaired by Usman Rana, the Vice President of LSEAD. With a quorum of 34 delegates the committee focused on issues of sectarian violence in Middle East and Pakistan. State sponsored sectarian violence and role of militant groups in fueling this problem was the crux of the session.